Our classes are led by qualified and compassionate dance teachers who have many years of professional training and teaching experience. Though our faculty comes from a variety of dance backgrounds, they all share a passion for the art and are dedicated to creating a nurturing environment that cultivates curiosity and ambition in our students. Miss Tricia is the Founder and Director of On Your Toes. Tricia has danced and trained in Pennsylvania, California, and Boston. She trained and taught at the prestigious California Dance Theater and performed at Pepperdine University. Tricia also performed and trained with Jeannette Neill Dance Studio and Reagle Players. She started teaching at age 13 and hasn't stopped since. She studied Child Psychology at Northeastern University. Prior to opening On Your Toes, she was the director of Dancer's Workshop in Sudbury for 13 years. Miss Tricia celebrates her 13th year owning, directing, and teaching many classes at On Your Toes. She teaches over 20 classes a week, specializing in OYT's childrens programs. Miss Rebecca started dancing ballet at the young age of 4. She started training with Judith Koeckovhen at Academy Balley Arts at 13. At 16 she was asked to join the Massachusetts Youth Ballet by Jackie Cronsburg where she trained with Jackie Cronsburg, Carter Alexander, Jessica Wilson, Adam Ludars, Gloria Govrin, and Sandra D'Amelio on full scholarship. In 2005 she attended Orlando Ballet School (voted best ballet school in the country by the Youth American Grande Prix) on full scholarship where she worked with Peter Stark. She was asked by Director Fernando Bojonas to join Orlando Ballet. She has attended American Academy of Ballet, Boston Ballet, The Kirov Academy of Ballet, and North Carolina Dance Theater. Recently, she appeared in Moscow Ballet's commercial for Cinderella. Currently, Rebecca dances for Dance Visions Contemporary Ballet in Boston, MA. 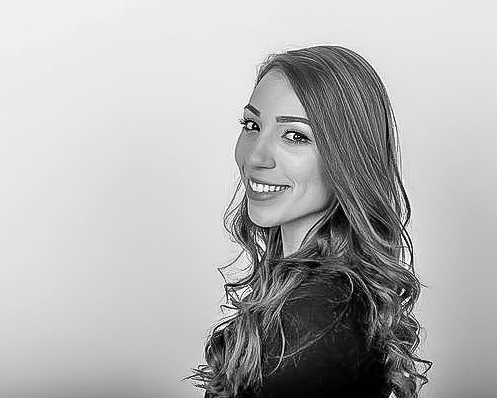 Miss Rebecca was promoted to the On Your Toes Ballet Director role in 2018. She helps to oversee our Pre-Professional Ballet Program. She also directs and choreographs many of the On Your Toes ballet performances. Miss Rebecca's celebreates her 6th year at On Your Toes. Miss Katie grew up in Wellesley, MA where she trained at Kathy McCrohon Dance Center and Miss Michelle's Center for the Performing Arts in the following styles of dance: ballet, modern, jazz, tap, hip hop, and acrobatics. She graduated from Roger Williams University in 2014 where she earned her BA in dance. During her time at RWU she had the opportunity to study abroad in London on the Dance and Theatre Program in the fall of 2012. Miss Katie currently dances professionally with Rainbow Tribe. Miss Katie celebrates her 4th year teaching at On Your Toes. Tara has been dancing since age three and trained in the Boston area in Ballet, Tap, Jazz, Hip-Hop, Modern and contemporary, under great teachers, such as Sandi Duncan and Nailah Bellinger. She attended college at Fordham University, in New York City, where she danced for both their dance ensemble, Expressions, and performed and choreographed for Fordham's nationally competing Dance Team. While in New York, Tara trained at Broadway Dance Center under some of the best choreographers the dance world has to offer, including Sheila Barker, Derek Mitchell, Brian Thomas and more. After college Tara spent several months as a featured dancer for a Boston based hip-hop company, Triiiple Threat Entertainment, under Carl Alleyne. She then accepted a year contract with Disney, where she performed in the Magic Kingdom's Castle Show as well as MGM's Fantasmic and numerous park parades. In Jacksonville, FL., Tara danced with Scott Leigh on the ‘Positive Influence Tour.’ She had the pleasure of teaching at Florida School of The Arts and choreographing for all the University’s dance majors. Tara then moved to Los Angeles where she started and ran her own dance company for several years; guiding her students through competitive dance and furthering their dance career. She has won numerous choreography awards from several dance competitions. Tara is thrilled to finally be back home in New England after 16 years away. She is even more excited to have found a new dance home at On Your Toes. She will be the Company Director and doing lots of competition choreography. She cannot wait to get to know these dancers further and challenge them in new ways and guide them to reach all of their potential! Miss Kyrianna is a recent graduate from Dean College where she earned her B.A. in Dance Performance with a concentration in Studio Management. Kyriana has studied with well-known teachers such as William Evans, Kristina Berger, Todd Shanks, Jill Silverman and Lindsey Klein. This past year, Kyriana completed an independent research study with Joan Phelps Palladino, the founder of the dance program at Dean college, which lead to the publication of her book “The Journey to My Goal”. Kyriana was a member of Dean College’s title holding Pom Team, and performed with The Providence Ballet Theater this winter. Kyriana takes extreme pride in spreading her knowledge of dance to others, and strives to make learning the art of dance an enjoyable experience for all ages. Miss Angelica is a dancer, performer, choreographer, and teacher who is multi-skilled and stylistically versatile. She began her dance training at the age of two years old at Kim’s Danceland in Springfield, MA. 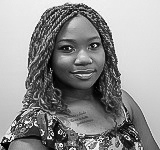 Agelica graduated from Springfield College with a Bachelor of Arts in dance and a minor in Arts in the Community. During her undergraduate years, she advanced her artistic training and level of performance with The Springfield College Repertory Dance Company, performing numerous and profound works by Jennifer Pollins, Shakia Johnson, Michelle Marroquin, James Morrow, and Kate Seethaler. Angelica has taught dance at summer camps since 2009 through 2012, and in 2015, she taught a master class at a summer dance camp intensive at The Dance Studio, Wilbraham, Mass. Currently, she teaches dance at many studios in Mass. and is very excited to continue her professional dance journey as a member of the Sonia Plumb Dance.